Prize: Making quick and easy meals is simple with the DiamoTech 9.5" Fry Pan. 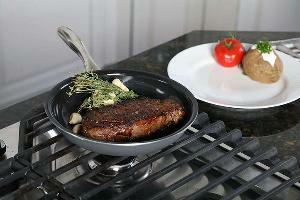 The lightweight pan is coated with an incredible nonstick ceramic material. Omelets, side dishes, and stir fry recipes all come out perfectly when using this fry pan. What you must do to enter: We’ll send an email to the winner, so please check to make sure your email address is entered correctly. Statistics: This contest was opened by 132 and entered by 9 ContestChest.com members. 7% of those who opened the contest, entered it.